The impassioned and complementary relationship between time and light. I take my time to celebrate the colour. Any advice to new aspiring photographers? Always be yourself; do not try to be someone else. But if you copy, do it well or only better. Żubrówka on the rocks with fresh lemon juice. Katja Sonnewend was born in Poland, grew up in Germany, studied photography and Fine Arts in the Netherlands. Currently lives and works in Berlin. Since receiving her first camera from her parents, she's been fascinated by the fact that you can keep moments of this life on a small piece of paper. Her work has been published in several international magazines like Vanity Fair (Germany), Vogue and Sleek Magazine. Group and solo shows among others in Amsterdam, Berlin, Warsaw, Israel and Nanjing. 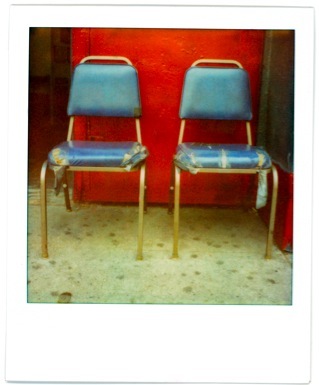 See Katja Sonnewend’s NYC polaroids in Issue 4 Vhcle Magazine.